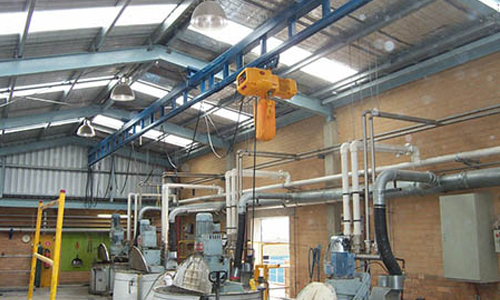 Sharrow provides application specific overhead bridge cranes and runway systems to fit any application or environment. We work with many industry-leading manufacturers to supply new overhead material handling equipment including jib cranes, gantry cranes, top running cranes, underhung cranes, and enclosed track systems. Sharrow also specializes in crane modifications and upgrades, where we are able to work with your existing equipment and modify it to meet your current needs. Common upgrades include increased capacities, adding wireless remote technology, or relocating equipment within your plant. Our service department also performs on-site OSHA required-inspections and maintains and repairs all brands and types of overhead equipment. 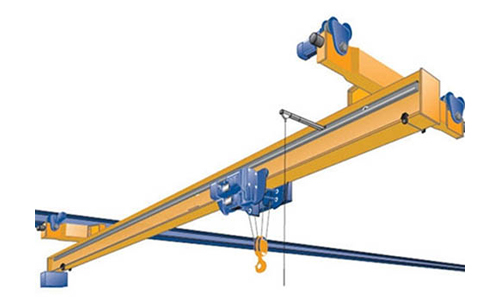 Stationary I-beam jib cranes transport materials across short distances and allow the user complete flexibility to position the hoist directly over the load being lifted or positioned. 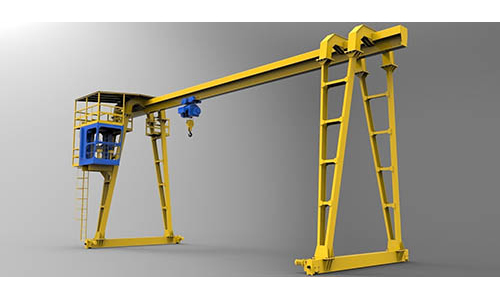 Sharrow offers standard floor-mounted, wall-mounted and free-standing jib cranes (for lighter materials) in capacities from 250 lbs to five tons, as well as customized cranes for specialized needs. Gantry cranes, or overhead crane or bridge crane, are built on top of a gantry and straddle their workload, offering maximum leverage and load-bearing capacity. Sharrow gantry cranes, engineered to your specific requirements, can span up to 40 ft and accommodate up to 15 tons of capacity. Applications include container terminals, where gantry cranes lift some of the heaviest loads in the world, to small shop cranes used for lifting automobile engines out of vehicles. 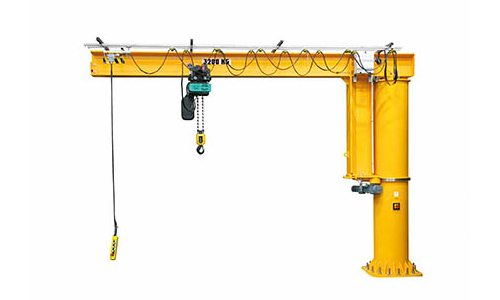 Top-running overhead bridge cranes travel on top of rails mounted on a runway beam and are most commonly used when headroom is limited. Sharrow supplies standard and custom-engineered single- and double-girder cranes with stationery axles or rotating axles for virtually any application. 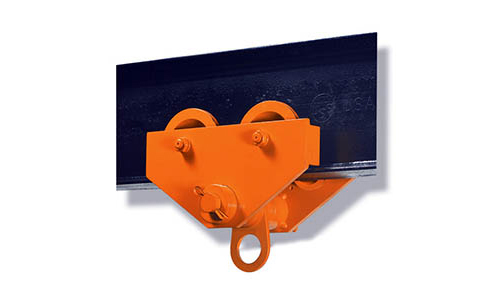 Top-running, stationary axle cranes (Type SA) are available in capacities from two to 15 tons with spans to 60 feet and standard speeds of 50, 80 or 120 fpm. Top-running, rotating axle (Type RA) are available in capacities from five to 30 tons with spans to 70 feet and standard speeds of 80, 120 or 150 fpm. All cranes are rated for a minimum CMAA Class C service. Also called under-running overhead bridge cranes, they travel on the bottom flange of the runway beam, which is usually supported by the roof structure. Sharrow supplies standard and custom-engineered single- and double-girder under-running overhead bridge cranes with stationery axles or rotating axles for virtually any application. Under-running bridge cranes are available in capacities from two to 10 tons with spans to 60 feet and standard speeds of 50, 80 or 120 fpm. All cranes are rated for a minimum CMAA Class C service. 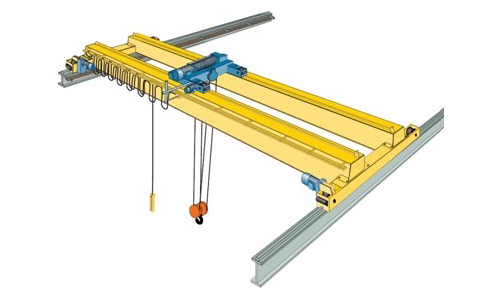 Enclosed track workstation cranes feature strong and lightweight overhead crane systems. 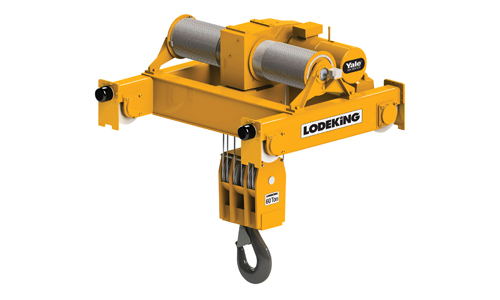 They span up to 30 ft with lifting capacities from 150 lbs to two tons. Their ergonomic design helps to improve productivity and quality while providing a safe work environment. Sharrow specializes in both electric and manual hoists. 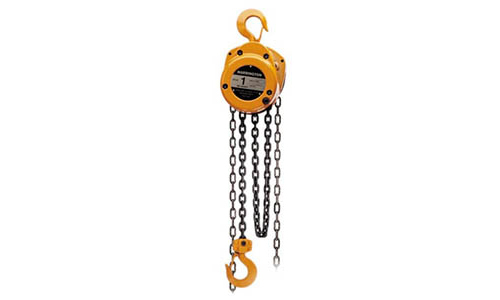 We provide hoists to your specifications to meet your load and application requirements. 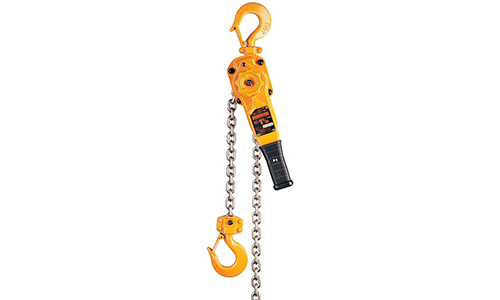 Chain lever hoists are cost-effective, easy to use and ideal for both indoor and outdoor applications with low headroom. They do not require electrical power. 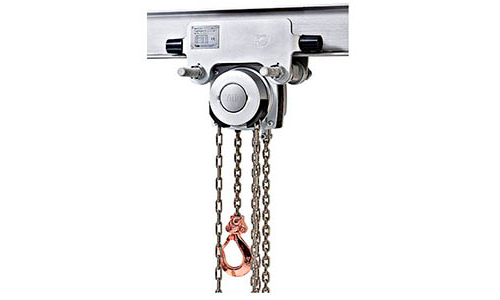 Hand chain hoists are built to withstand rugged, day-in, day-out use. They are cost-effective, easy to use and maintain and ideal for low-headroom spaces. They do not require electrical power. 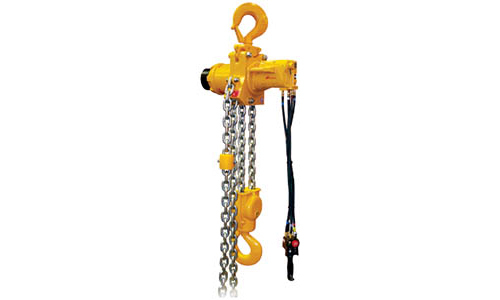 Electric chain hoists are ideal for low-capacity loads, generally up to three tons, and are available in a variety of trolley configurations and voltage. Electric wire rope hoists are also available for higher speed, frequent use applications generally beginning at 3 ton capacity. 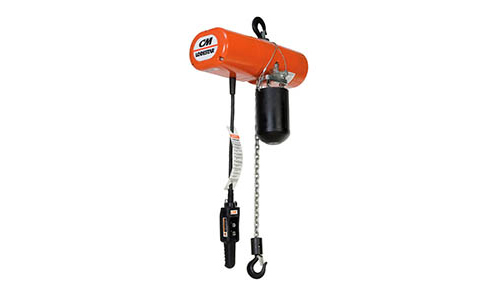 Air chain hoists are ideal for no-spark environments and low headroom. Powered by compressed air, they provide a range of lifting capacities, lift heights and speeds. Manual trolleys are a compact, durable, and inexpensive solution to move your hoist up and down the runway. Powered trolleys are suggested for highly repetitive work and high speed applications, and are available with multi-speed functionality and with various options including wireless remote controls.